The PCS gear indicator scans a vehicle's CAN bus and displays current gear data allowing technicians and vehicle operators to monitor the actual current gear used by the transmission, not just the lever position. The data is displayed on a 5x8 LED dot-matrix display housed in a rugged plastic enclosure. The module automatically enters a low-power standby mode when no activity is detected on the vehicle's CAN bus ensuring low battery drain when the vehicle is not in use. There are three available harness options including unterminated, OBDII, or PCS option connector. 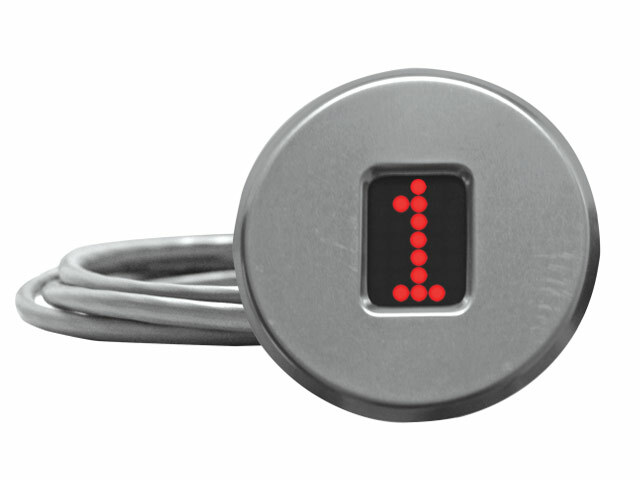 GDR Series (Round): Detects headlight status. If 12V is present, display will dim for "Night Mode." This manual is for GDR and GDS style gear indicators. © 2019 Powertrain Control Solutions, LLC. All Rights Reserved.